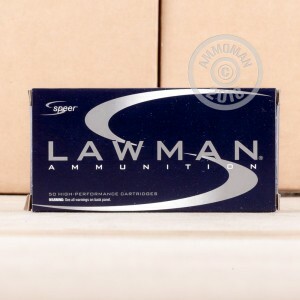 Snag a great deal (and get free shipping from AmmoMan.com, as with all orders over $99) with this 1,000 round case of .38 Special cartridges from Speer's Lawman series. 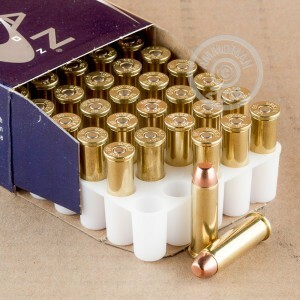 These cartridges fire a light 125 grain total metal jacket bullet at a muzzle velocity of 865 feet per second, putting them in the standard pressure category. Expect light recoil and good accuracy. The use of TMJ bullets makes this ammunition a great choice for indoor shooting, as total metal jackets reduce the potential for lead exposure compared to conventional FMJs and lead round nose projectiles. This ammo has the same external ballistics and recoil profile as the equivalent Speer Gold Dot self-defense load and is designed to provide realistic training at a fraction of the expense of premium hollow points. 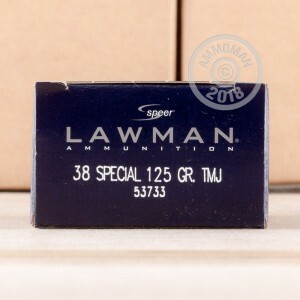 I settled on this ammo looking for the best value I could find in 38 special range ammo. TulAmmo is about 15 cents per round cheaper but I think the Speer is worth the difference because it is easier on bores and although still slightly dirty to shoot not as bad as TulAmmo. Accuracy is first rate and low recoil makes this good practice ammo. A good buy at 35 cents per round delivered.